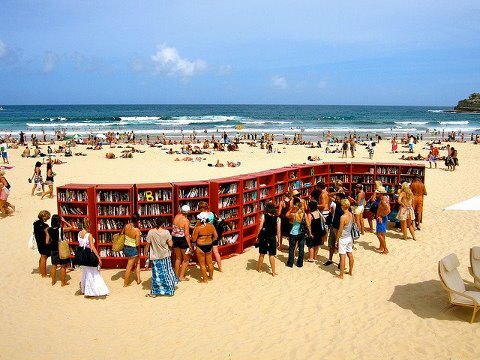 Gives a new meaning to beach reading! Love this idea! Yes…I don’t think real books will ever go out of fashion! My house would be so empty without them! What a brilliant piece of imagery!